Jews for the Preservation of Firearms Ownership - Gun For Hire | NJ's 6 Star Indoor Gun Range! JPFO is a non-profit tax-exempt 501(c)(3) educational civil-rights organization, not a lobby. JPFO’s products and programsreach out to as many segments of the American people as possible, using bold tactics without compromise on fundamental principles. Find out how you can donate to JPFO. JPFO has always welcomed people of all religious beliefs (or none) who share a common goal of opposing and reversing potentially deadly victim disarmament policies. 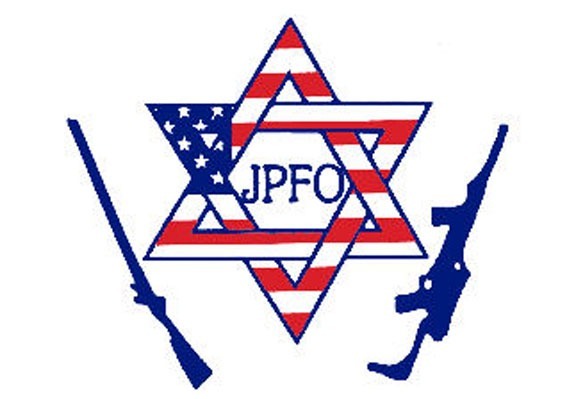 You don’t have to be Jewish to join JPFO; you just have to love freedom. So-called “gun control” is a deadly lie. Firearms registration lists lead governments-gone-bad straight to gun owners. Licensing and registration of guns has resulted in outright banning and confiscation over the last one hundred years of world history. The bloody results of these mass citizen disarmaments have been horrific. Based on this insight, JPFO broke new ground with the award-winning documentary Innocents Betrayed. In this powerful film, viewers learn the dirty secret of “gun control”: how governments have historically deprived people of firearms … and then murdered them ruthlessly. Fifty eight minutes of hard-hitting facts that leave viewers dazed. More recently, JPFO has made additional award winning movies. “2A Today for the U.S.A.”is probably the best introduction to the Second Amendment available anywhere. “Shall not be infringed” means what it says. Gun registration, permits, and licensing are blatant infringements of the right to keep and bear arms. Aside from being un-Constitutional, “gun control” simply does not work. Criminals ignore all gun laws. Please carefully consider the logic of what is being said here. Next in JPFO’s “arsenal of intellectual ammunition” came the controversial, but irrefutable, documentary “No Guns for Negroes” This film carefully details the racist roots of American “gun control”. The first widely applied “gun control” laws in this nation were enforced against freed slaves after the Civil War. American children don’t learn this in history classes; they are more often programmed with the simplistic lie that “guns are bad”. JPFO also offers a wide variety of freedom-related fiction and non-fiction books in our bookstore area . Then came “The Ten Commandments of Self Defense”, a rabbinic examination of Jewish Torah Law in relation to self defense. Foundational to this lecture (available on CD), is exposure of the centuries long mistranslation of the Sixth Commandment. The proper Hebrew translation is “thou shalt not murder”. Religious Jews (and Christians) simply must re-examine their views on righteous self defense. Next came the groundbreaking expose film “No Guns for Jews”. Expanding upon “The Ten Commandments of Self Defense”, this is an absolutely clear presentation of the Jewish moral and religious mandate for righteous self defense and the defense of the innocent. You can watch all three of these more recent JPFO productions on YouTube (search the title for segmented presentations), or download them in full from our website – reference the movies page for relevant links. There is also available from the JPFO store, our “Triple Play combo DVD” containing all three major DVD’s together. JPFO also maintains a dynamic, rapid response, website with a free e-mail alert subscription system to deliver intellectual ammunition both to Americans and to freedom lovers all over the world. To contact JPFO for more information, call the national headquarters at (800) 869-1884 or (262) 673-9745, fax to (262) 673-9746, or click on http://jpfo.org . Dues are only $25 per year ($40 for two years). The sign up details page describes several options.